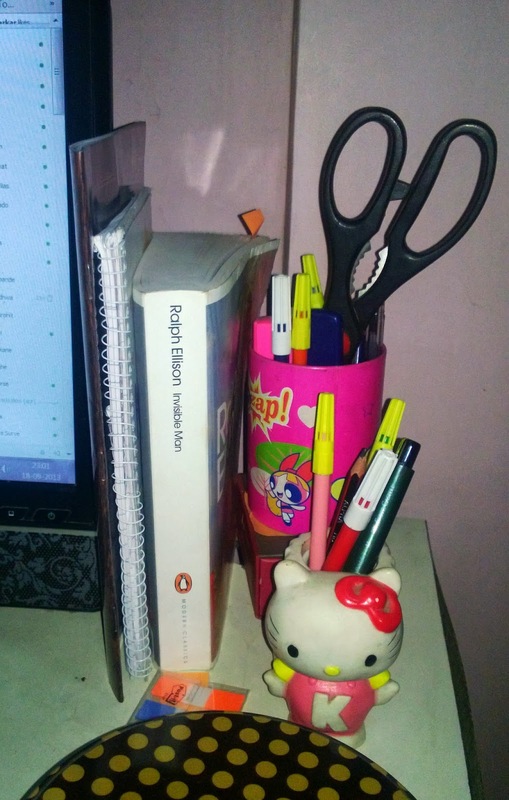 The novel that you are reading currently, should be placed properly on your work top. This helps in giving a proper place to the novel, as well as comes handy when a program is getting installed, or when you are too bugged to work. I am reading Invisible Man by Ralph Ellison. This book is about how the 'Blacks' were ignored and harassed by the 'Whites'. I had this book as my vacation-homework, but, umm, I haven't finished it yet (rather I started it a week ago, and I hope my professor doesn't read this). Which book are you reading currently? Also where do you keep it?